Scott Rothstein, the flashy Fort Lauderdale attorney who authorities say ran a $1 billion investment scam while acting like a philanthropic tycoon, is expected to be arrested Tuesday on a federal racketeering charge, sources familiar with the case said. Rothstein, who had fled to Morocco in late October but returned in early November, is expected to appear at a magistrate hearing to face the RICO conspiracy charge at the federal courthouse in Fort Lauderdale. While under federal watch in November, Rothstein cooperated with prosecutors and provided them with details of his Ponzi scheme, involving the sale of fabricated legal settlements to wealthy investors.FBI and IRS agents also raided his Fort Lauderdale law office and seized his waterfront home and other assets. Rothstein could not be reached for comment, and his attorney, Marc Nurik, declined to say anything about his client's imminent arrest. Rothstein, 47, is likely to plead guilty soon while he is in custody. The U.S. attorney's office, meanwhile, will convene a grand jury to consider criminal charges against Rothstein's alleged co-conspirators -- including possibly former employees of his now-defunct firm. Rothstein called Monday, after I sent a text asking if he was about to turn himself into federal authorities, a rumor that was making the rounds. "No, I'm not surrendering," he said. "I'm sitting here in the hotel with my attorney (Marc Nurik) and it's a very strange scenario. "First we're fielding calls from people asking if we're in protective custody. No, I'm not in protective custody. Now we're getting calls if I'm about to surrender...So I guess you guys are giving me a heads up that I'm about to be arrested." Said [Mark] Nurik: "Nobody's telling us that they're picking him up, and nobody's giving us any right to surrender...He's sitting here with me, talking about the case. He's mostly freaking out about being arrested." So, he'll obviously be detained with no bond. But should he be? UPDATE 9:30am Tuesday -- Rothstein has been arrested early Tuesday morning and he wasn't permitted to surrender. He will make his initial appearance this morning in Ft. Lauderdale before Judge Robin Rosenbaum. THIRD UPDATE -- Rothstein was charged by way of infomation, which means he is definitely cooperating. Still strange to me that they simply wouldn't indict him. Here's the information, which has been assigned to Judge James Cohn. Would you do 40 months for a billion bucks? Bradley C. Birkenfeld was sentenced to 40 months in prison for helping rich Americans dodge their taxes. Now he is hoping for a bit more — a few billion dollars more. Mr. Birkenfeld, a former private banker at the Swiss bank UBS, won the enmity of his peers by violating the omerta of Swiss banking: He divulged the tax evasion secrets of UBS, the world’s largest bank by assets, and its well-heeled American clients. As part of a deal with federal prosecutors, he admitted to, among other things, helping to smuggle diamonds in a tube of toothpaste. Now, as thousands of wealthy Americans seek amnesty for keeping illicit, offshore bank accounts, Mr. Birkenfeld and his lawyers hope to use a new federal whistle-blower law to claim a multibillion-dollar reward from the American government. If they succeed — and legal experts say the odds are pretty good — it would be the largest reward of its kind. Mr. Birkenfeld, who is to begin his prison term as soon as January, is being represented by the executive director of the National Whistleblowers Center, Stephen M. Kohn. 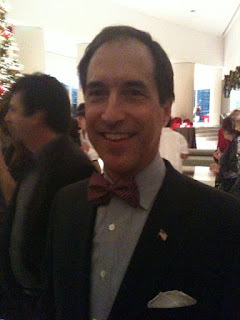 Mr. Kohn successfully represented Linda Tripp, who helped expose the Monica Lewinsky scandal of the Clinton years. “We are seeking at least several billion dollars,” Mr. Kohn said. The Miccosukee Tribe of Indians was certainly thankful to Judge Seitz on Thanksgiving Day. Just hours before we all headed home on Wednesday to defrost our turkeys, Judge Seitz issued an order stating that she was “convinced that the Tribe will succeed on the merits” after a two-day preliminary injunction hearing last week seeking to halt construction on 21-mile “Loop Road” in the Everglades. The DBR’s article is here. Judge Seitz found that “the Government failed to comply” with environmental laws prior to starting the project. Michael Tein represented the Tribe at the hearing and accused the National Parks Service of a “cover up.” Mike produced Interior Department notes and memos indicating that government viewed public disapproval of the project as a “high risk” that would be handled with an “internal memorandum to file” instead of the full-blown public environmental study that federal environmental laws require. Apparently, the government was going to use money earmarked back in 2005 for “emergency Hurricane Wilma relief,” to pay for repaving the road, which Mike said had no hurricane damage. Mike’s brief charting out the alleged “cover up” is a fun read and I will post it shortly. After the hearing, the government agreed to delay the project another two weeks to allow for additional briefing. Judge Seitz said she would rule by December 14. The case against Ben Kuehne and the co-defendants has been dismissed by the Feds. Happy Thanksgiving. UPDATE -- The government moved to dismiss the pending appeal against Gloria Velez and also moved to dismiss the entire indictment in the district court against Velez, Oscar Saldarriaga, and Ben Kuehne. The motion simply says that it is based on the changed circumstances from the Court of Appeal's decision and in the interest of justice. Indeed. It was signed by Ken Blanco, Deputy Assistant Attorney General. On this, the day before Thanksgiving, I am gratified beyond measure that the United States Department of Justice has decided to abandon all charges against me. 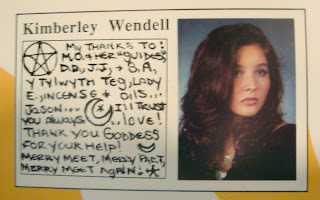 I have had throughout a deep and abiding belief that things would turn out well in the end. However, I did not know the end result would come about by decision of the Department of Justice. We are all fortunate to be able to say that we have a Justice Department whose goal is to try to do the right thing—not to win at all costs. Although I would have preferred not to go through this experience, I am also gratified that my case has been the occasion for an important precedent-setting legal ruling by the District Court, recently affirmed by the Eleventh Circuit Court of Appeals, and embraced by the legal community, in preserving and protecting the Sixth Amendment right to counsel. This ruling deals with an area of law that is close to my heart. It is to the right to counsel in criminal cases that I have dedicated much of my career at the Bar. I want to, once again, thank the many members of our community who have, over the past two years, so consistently expressed their confidence in my innocence. Throughout this period, I have continued to do what I have been trained to do, and what I love most, which is to practice law. I am grateful to the many clients who have reposed their confidence in me by seeking to utilize my legal services. I am also grateful to my amazing lawyers, John Nields, Jason Raofield, and Laura Shores from Howrey in Washington, D.C., and my good friend, Jane Moscowitz, from Miami. I wish to thank them for their skill, dedication, and commitment to me and my case. Finally, throughout this legal drama, my greatest strength has been the unsinkable spirit and love of my wife, Lynn, and our entire family. I want to thank them for knowing who I am, and of my sincere dedication to the law. So Jaubert disguised himself as a Muslim woman and fled the country. The accomplished diver hid scuba gear under the head-to-toe abaya. He swam out to the area's only patrol boat and cut the fuel lines. Then, he said, he launched his rubber dinghy, started the motor and piloted it six hours to meet an awaiting sailboat. Now he's in South Florida, embroiled in a federal lawsuit over an ill-fated business venture with Dubai World Corp., which says the 2008 escape story is one of his many lies. Jaubert sued the company, claiming the failed plan to build recreational submarines for tourists and the super-wealthy cost him millions in lost business opportunities. "I lived with fear in my stomach for more than a year. Every day when you wake up, you expect to be picked up by the police," Jaubert said. And we even get a video! Inside a Miami Beach office that feels like a not-too-reverential Hurricanes shrine, the finishing touches are being applied to the documentary of record on the University of Miami football program. Stacks of old newspaper clippings and UM media guides sit atop a table. A Ray Lewis action figure poses menacingly on a desk, and a stuffed ``Ibis'' lurks across the room. A UM pin cushion and Canes pillow are propped on the couch. Director Billy Corben and producer Alfred Spellman aren't only accomplished filmmakers -- they're also former UM students. Corben believes Canes fans will be pleased when their two-hour documentary, The U, airs at 9 p.m. Dec. 12 on ESPN, in a high-profile slot following the Heisman Trophy show. ``For Canes fans, this will be a reminder of what they loved about this team. For Canes haters, this will be a reminder of what they hated about this team,'' said Corben, who has crafted six films with Spellman, most notably Cocaine Cowboys. ``I'm also hoping the haters might walk away with some passing appreciation of what the team brought to the table in terms of their pop culture contributions, the merger of sports and entertainment, the style of game played. Jackie Menendez, UM's vice president/communications, said the school declined to allow the interviews or participate in the project because Corben wasn't willing to allow UM officials to read the script in advance. Corben said he never was asked for a script -- ``a documentary doesn't have a script'' -- but that he sent UM a treatment, which is a two-page synopsis of the project. When Devin Hester heard that UM wasn't cooperating, this was his reaction, showing his Bear/bare behind. In other news, a Miami pastor was convicted before Judge Huck yesterday after a lengthy trial. He was convicted of committing $7 million in fraud. Rothstein was apparently paying his lawyers and staff with ponzi proceeds. This keeps getting uglier and uglier. Bob Norman has pics of his house and lots of other news. About three hours later, ``Fat Man'' returned to the cabin with one of his men, who told Ortiz that they knew he was a federal agent. They were visibly nervous, Ortiz told the FBI. Once his hands were free, Ortiz saw that his apologetic guard carried a revolver in a belt holster and asked him for it. The man surrendered it. Ortiz also asked for a car, a demand accepted by his kidnappers. One of them drove him to the city. Ortiz arrived on his own at the hotel, where a contingent of Colombian police officers and U.S. agents were waiting for him so they could take him immediately to Bogotá. 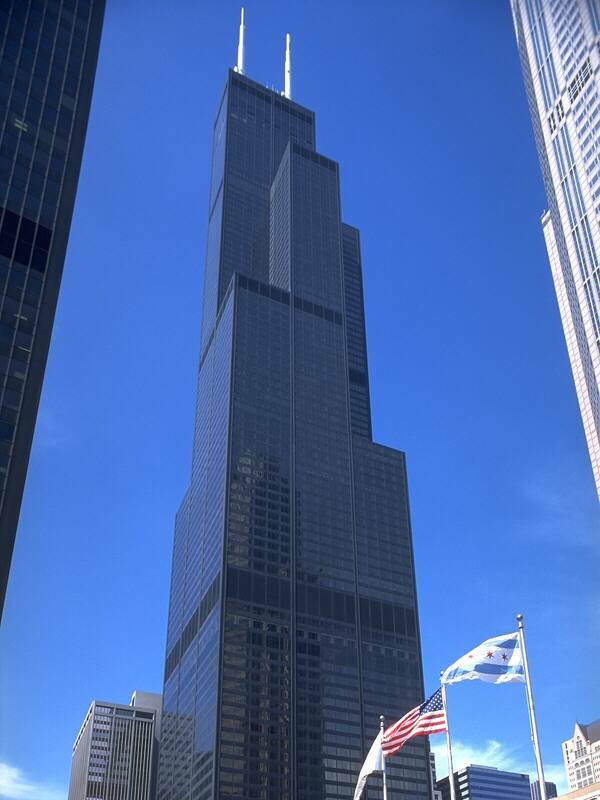 Did you know that the Sears Tower is now called the Willis Tower? 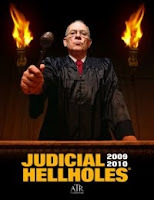 Sentencing Batiste, US District Judge Joan Lenard said: "You've done great harm to yourself, your family, the young men who were your followers, and you've violated the trust of your country." Batiste apologised for the plot in court, saying he had "wanted respect". "I wanted to be this person that I really wasn't. I've never been a violent person," the Associated Press news agency quoted him as saying. President & CEO, Insource, Inc.
Let's hope the committee acts more quickly than Obama. Four men described as soldiers in a terrorism plot to destroy Chicago's Sears Tower and bomb FBI offices have each been sentenced to less than a decade behind bars, far less than federal prosecutors sought. U.S. District Judge Joan Lenard, in sentencing hearings Wednesday and Thursday, said the four were followers who participated far less than ringleader Narseal Batiste in discussions about possible terrorist attacks. The conversations were recorded by the FBI using an informant posing as an al-Qaida operative. The plot never got past the discussion stage, which has led defense attorneys and national terrorism experts to describe the case as overblown since the "Liberty City Seven" were arrested in June 2006. Lenard appeared to share that sentiment, at least for the four who were sentenced. "As I see this case, these young men were looking for something. I don't know, maybe it was their naivete and youth that made them fall under the influence of a man with a need to control and they became his followers," Lenard said. Prosecutors sought between 30 and 50 years in prison for each of the four men, with Batiste facing a maximum of 70 years when he is sentenced Friday. They were convicted in May in the third trial of the case following a pair of mistrials, and two of the original suspects were acquitted. Lenard sentenced Batiste's self-described "No. 1 soldier," 30-year-old Patrick Abraham, to just over nine years Thursday. Stanley Phanor, 34, got eight years and two other men were sentenced to even less time Wednesday. Lenard said a terrorism enhancement that applies in each case would result in an unreasonably harsh sentence, so she opted for leniency. Abraham, a Haitian native who has been jailed since his 2006 arrest, apologized for what happened but insisted he never sought to be a terrorist. "I am not nobody's enemy," he said. "I am not the government's enemy." Kathy Williams received the Lawyers in Leadership Award last night from UM's Center for Ethics & Public Service for her "dedication to public citizenship and leadership." Examples of Kathy's professionalism, leadership, dedication, and intellect, were highlighted by several speakers (Michael Caruso, Celeste Higgins, and Ricardo Bascuas), and included the fact that Congress cited Kathy's FPD's office as a model defender's office. Spotted in the packed room were Judges Moreno, Seitz, O'Sullivan, and Palermo. Kathy's speech was short and sweet, thanking all those who guided her and expressing gratitude for being able to "work with her heroes." Even if you don't know Kathy, you've probably benefited from her national and local work related to indigent defense. Congratulations to her for this well-deserved accolade. 4. Prof. Bascuas, a FPD alum, spoke at Kathy's event. If you haven't recently, you should check out his blog. Lots of fun stuff. Mark Shelnutt was and is innocent of each and every charge brought against him. Mark represents what is good and right about criminal defense lawyers. He tries to right wrongs when he sees them. He brings a passionate intensity to defending his clients. And, most importantly, he believes in our system of justice and trusted the jury to fairly listen to the evidence, which they did. At 2:45, Land began to read. Thirty six times Land read a charge and followed it with not guilty. By the time Land was finished, Shelnutt’s supporters, a combination of family and friends, many of them connected to St. Luke United Methodist Church, were cheering. *Tom runs his own blog here. "Liberty City terror suspect gets 6 years in prison"
A judge on Wednesday handed a six-year jail sentence to one of five men convicted of plotting to blow up the tallest building in the United States, Sears Tower, and swearing allegiance to Al-Qaeda. 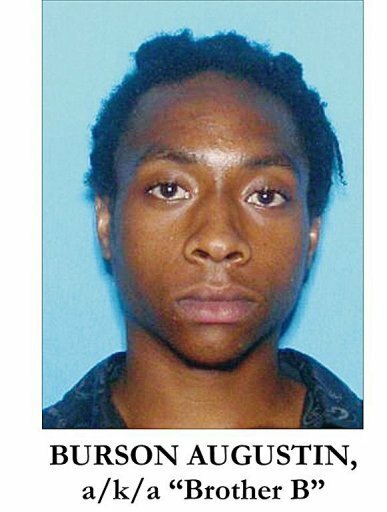 US District Judge Joan Lenard found that Burson Augustin, 23, played a minor role in the conspiracy and gave him a far lighter sentence than the 30 years that prosecutors had been seeking. In handing down the sentence, Lenard said: "Islamic terrorism is one of the most tremendous problems that this country now confronts... this defendant took an oath to Al-Qaeda." But she added that Augustin's actions might have been affected by other factors. "This was a young man who for whatever reason, perhaps lack of education or lack of direction, came under the influence of Narseal Batiste." 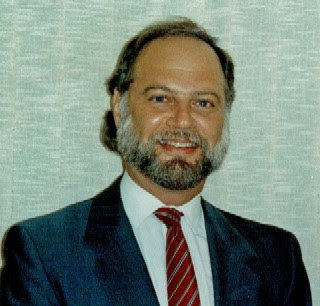 Augustin's attorney Louis Casuso, had asked for leniency, telling the court that "when you are young, you say a lot of stupid things and you go through a lot of stupid things." A three-year battle that pitted claims of censorship against the right of Miami-Dade schools to remove from their shelves a book that portrays an inaccurate view of life in Cuba ended Monday on the steps of the U.S. Supreme Court. In a huge win for the Miami-Dade School Board, the high court declined to take up the case -- leaving in place a decision by a federal appeals court that said the board's right to set educational standards is not equivalent to censorship. ``This is a great victory for the School Board and for Cuban Americans,'' said board member Perla Tabares Hantman, who from the beginning supported removing the book Vamos a Cuba from school libraries. Here's our prior coverage of the book banning case. Bob Norman is churning out stories about Rothstein so fast that the rest of us can't keep up. It's really incredible what he is doing over at his blog. The investigation, insight, etc. Even if you are exhausted over the Rothstein coverage, his blog is worth a read. Here's one story about 1000 times chai. You can't make this stuff up! That was the name of 22 of Scott Rothstein's corporations and it stood for "What a Wonderful World." Indeed. Here's the Sun-Sentinel story covering the genesis of the Rothstein spending, which started sometime in 2005. At an Eagles concert this year, Don Henley, the band's drummer, singled out Mr. Rothstein and his wife, Kimberly. "I don't normally do this, but this goes out to Scott and Princess Kimmy on their one-year wedding anniversary," Mr. Henley told the audience as the band ripped into "Life in the Fast Lane," its paean to the perils of excess. Mr. Rothstein paid $100,000 to one of Mr. Henley's charities for the dedication. Seriously, what is taking so long? 1. Bob Norman is killing this story, telling us about strippers, Bova Prime (SFL will like the picture in this post, which I included to the left) and Judge Zloch. 2. Chaz Stevens has done it again -- tracking down William Boockvor. 3. 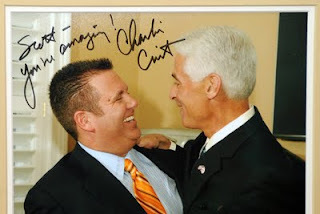 And in non-Rothstein news, Dan Christensen is covering secret dockets under USA candidate Daryl Trawick. 1. There's no case number. 2. An interior decorating dispute yet Rothstein allegedly obtains a $2 million judgment. 3. "Punitive damages for fraud" to the tune of $21 million. 4. Rothstein allegedly gilds the lily with repeated references to how "clear and convincing" his evidence and presentation was. 6. Jones somehow waived her right of appeal "based on the doctrine of fraud in the inducement" and "unclean hands"? 7. This is friggin' loony tunes. Who's going to the ADL lunch today honoring Albert Kreiger and Edith Osman? Come by and say hello. Those who aren't can try betting on the Supreme Court. You prefer Glee, you say. Well here you go. Fine, and if you must, here's a Scott Rothstein story. Blech. What began as a dispute over a $2 million decorating bill for Morse's new Boca Raton and Maine homes transformed into a $57 million scam, in which Rothstein allegedly ripped off his wealthy clients with an elaborate series of lies, delays and forged court orders, sources familiar with the matter told The Miami Herald. Ed and Carol Morse -- who were family friends with Rothstein -- sued Boca Raton decorator Jan Jones in 2006 claiming he botched their job. Rothstein told the Morses earlier this year that they had won the breach-of-contract case and that the decorator owed them $23 million, sources said. It wasn't true. In fact, the Morses lost the case. Rothstein also produced purported federal court orders signed by a judge, saying the Morses could claim the judgment by seizing a Cayman Islands bank account belonging to the decorator, sources said. There were no such court orders, nor any fat bank account, court records show. To confiscate the money, the Fort Lauderdale lawyer allegedly told the Morses they had to post a bond 2 ½ times larger than the judgment, or $57 million, the sources said. The large amount was required as a guarantee in case bank officials confiscated the judgment from the wrong account, Rothstein told them. So the couple wired the $57 million to Rothstein in installments earlier this year, the sources said. It is not clear whether Rothstein paid any of that money back. Here's another post about the encounter.